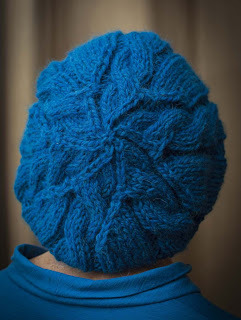 Susy Sew and Sew: More knitting - slouchy cable beret. More knitting posts - I am really enjoying my knitting as you can tell and it is good timing to pick this up as a hobby as it is quite cold this year. I have just made myself a slouchy cable beret - Ravelry details here. 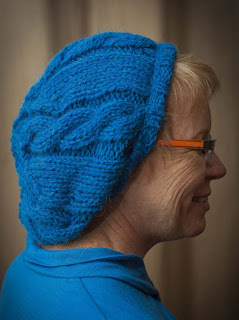 It is made in a 12 ply baby alpaca, so is deliciously soft to wear and so quick to knit! I haven't shown you the blue top that happens to match in colour, but it is my latest Lekala top - like the others but this time in an electric blue merino from the Fabric Store in Brisbane. I pressed the collar when I was finished and I think that was a mistake as it is sitting a bit awkwardly in these photos. I am sure a wash will fix that however. While I was sewing it, I took a photo of a good tip I must have read somewhere on how to avoid cutting a fabric piece where there is a flaw in the fabric. 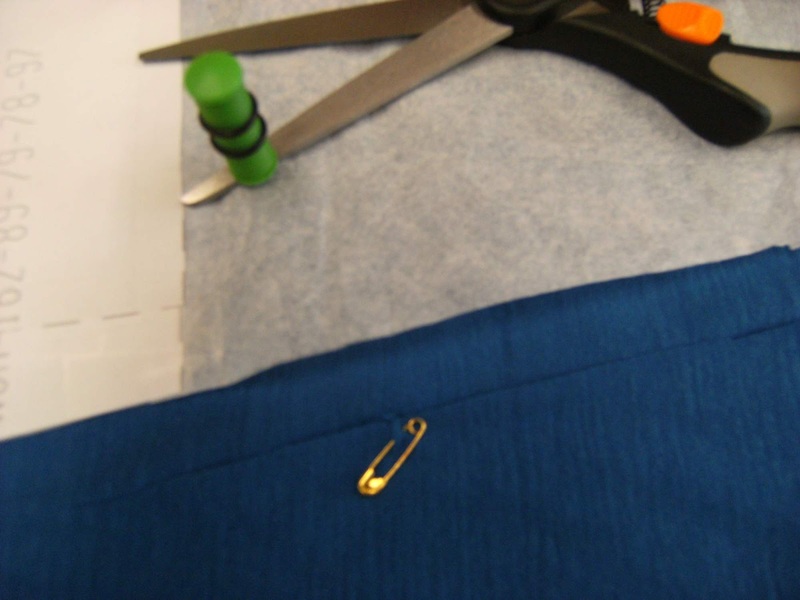 While I was ironing the fabric I noticed it had a slight flaw in it and I had plenty of fabric so I wanted to avoid having the flaw in any of my pieces so I put a small safety pin at that spot so it was obvious where the fault was. It worked well and avoided the annoyance of finding the flaw in one of my pieces after cutting it out. I am sewing again - a bag to cart my yarn projects about. 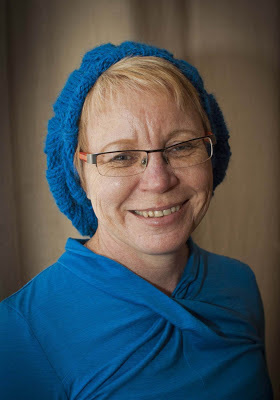 A shout out to Sharon, who has also posted about a slouchy beret she has just finished - the details are here - gorgeous! Love your slouchy beret, the colour is so bright and will be wonderful to brighten up a dull winter's day. Now I have another pattern in my library :) Thank you for the compliments on my slouchy beret. Curious mind as to your yarn bag pattern, one of these needs to be added to my every growing sewing list. Lovely beret Sue! Both warm and stylish. Beautiful - and warm! I must learn to knit! Great slouchy hat! I loooove slouchies. Make me feel boho and young :-) You look really cute in yours. What a cute hat! I love hats, but don't wear them all that often. Doesn't keep me from having a collection, however. Very cute hat, love the color.